Following the Spectre photos featuring the new Bond Girls released earlier today, Sony Pictures has debuted the second trailer for Spectre. The Bond Girls in question, Léa Seydoux, Monica Bellucci, Stephanie Sigman and returning star Naomie Harris, who reprises her role from Skyfall as Eve Moneypenny. Daniel Craig is back as 007 for the fourth time, following Casino Royale, Quantum of Solace and Skyfall. Spectre follows the release of Skyfall, the biggest Bond film of all time, which took in $1.1 billion worldwide. 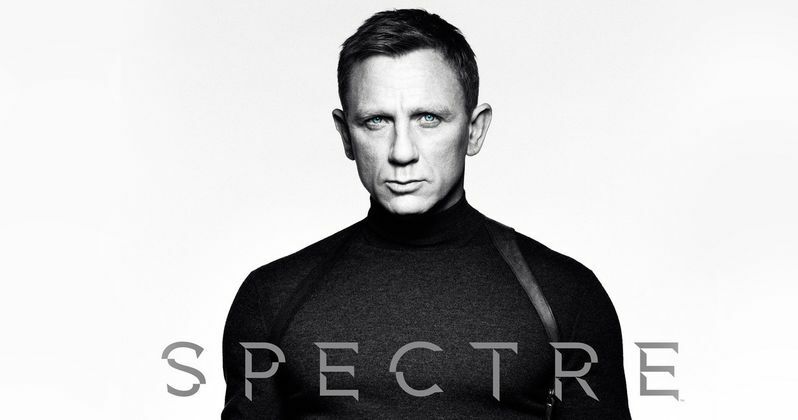 In Spectre, a cryptic message from Bond's past sends him on a trail to uncover a sinister organization. While M battles political forces to keep the secret service alive, Bond peels back the layers of deceit to reveal the terrible truth behind Spectre. Sam Mendes returns to direct Spectre, with Daniel Craig reprising his role as 007 for the fourth time. Spectre is produced by Michael G. Wilson and Barbara Broccoli, from a script by John Logan and Neal Purvis & Robert Wade. Spectre also marks the return of Skyfall stars Ralph Fiennes (M) and Ben Whishaw (Q), along with plenty of new stars. Christoph Waltz stares as the villainous Oberhauser, who is rumored to be the legendary villain Blofeld. Back in 2013, MGM won back the rights to the S.P.E.C.T.R.E. organization, and the character Blofeld, after a legal spat that spanned for nearly 50 years. After the new James Bond movie was named Spectre, many thought that Oberhauser is actually Blofeld, but that has never been confirmed. Dave Bautista also stars as Oberhauser's henchman Hinx, with Andrew Scott and Rory Kinnear rounding out the cast. Production just recently wrapped on the 007 action-thriller, giving the production approximately five months to complete post-production. The film was truly an international affair, with shooting taking place in London, Mexico, Italy and Morocco, with a cast and crew of more than 1,000 people. After Spectre hits theaters, the future of this franchise will be in limbo, with director Sam Mendes revealing that Spectre will be his last James Bond film. The rights to the entire franchise will also be up for grabs after Spectre's release, so we'll have to wait and see which studio picks up 007. Until then, check out the latest footage. Meanwhile back in London, Max Denbigh (Andrew Scott), the new head of the Centre for National Security, questions Bond's actions and challenges the relevance of MI6, led by M (Ralph Fiennes). Bond covertly enlists Moneypenny (Naomie Harris) and Q (Ben Whishaw) to help him seek out Madeleine Swann (Léa Seydoux), the daughter of his old nemesis Mr White (Jesper Christensen), who may hold the clue to untangling the web of Spectre. As the daughter of an assassin, she understands Bond in a way most others cannot. As Bond ventures towards the heart of Spectre, he learns of a chilling connection between himself and the enemy he seeks, played by Christoph Waltz.